During the past few years, interest in sailing to Alaska has soared. It’s not hard to see why. Alaska is known at the last great frontier, and like any frontier, it can be difficult to traverse. With a limited amount of roads and other transportation, the easiest way to get around the picturesque coastline is via boat. Luckily, that’s also the best way to view the natural scenery. And as word spreads about the beauty of taking an Alaskan cruise — and as the cruise industry grows in general — more and more people are considering taking a trip. The good news is that with increased interest in cruises to the region, cruise lines are sailing more ships to Alaska. Today, there a staggering amount of Alaskan cruises to choose from across every budget, cruise line, and itinerary. If you’re looking for cheap Alaskan cruises, however, then you need to be prepared to shop around. Trips to this area are seasonal — sailing from May through September. Since there is only a limited window of time to cruise, prices are considerably higher than similar Caribbean cruises you might be familiar with. As well, prices change frequently. The Alaskan cruising season is short — only five months long. Running from May through September, your opportunities to sail are limited, although there are a number of ships sailing at any given time. If you want to save the most, look for cruises that sail in May. These trips early in the season are before kids are off school. That means the pool of available passengers is smaller. 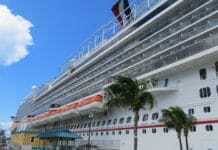 In order to fill the ships, cruise lines slash prices. A cruise departing in May can be hundreds of dollars less than the same trip leaving in July. Didn’t we just say to sail early in the season to save? Well, the same logic applies to sailing late. If you can wait until September, cruise fares to Alaska are much cheaper. With school back in session and the bulk of the sailing season already past, you can find deals that are hundreds of dollars less than sailing just a few weeks earlier. Most cruises sail round-trip, departing ports like Vancouver or Seattle. But if you look around, you can find one-way trips that depart from one port and let passengers off in another. Since these cruises are one-way, that means you have to find separate transportation back home. The upside? One-way cruises tend to be cheaper. With all of these tips in mind, here are the cheapest Alaskan cruises for 2019. Note that prices may change depending on when you book. As we mentioned above, cruises that are one-way journeys mean you will need to find transportation back from the endpoint of the cruise. Still, you can save a ton with these cruises. Below, we’ve listed the cheapest one-way Alaskan cruises we’ve found. Note: This article contains links to Orbitz that are affiliate links. If you decide to book through one of these links, we receive a small commission at no extra cost to you. A seven-night Alaskan cruise cruise for just over $500 is a steal. It’s not unusual to find prices that are double this trip from Vancouver. One reason it is so cheap is that it is a one-way trip that ends in Seward, Alaska. You have to find your own way home, or you can just book a return trip on the Jewel to Vancouver (see below), which would take you round trip but extend your trip to 14 nights. The return trip of the Norwegian Jewel to Vancouver is this sailing from Seward, Alaska that departs on May 27. In other words, there’s a seven-night trip from Vancouver to Seward, and then this return trip. That gives you a 14-night Alaskan roundtrip cruise if you sail them back to back. That’s ample time to take in the sights of one of the most breathtaking places on the planet. While one-way cruises will offer the cheaper fares in most cases, they can get pricey when you consider that you also need to figure out different transportation arrangements. The following cruises are all round trip from a single port. The absolute cheapest Alaskan cruise we found, the secret is that it’s only four nights instead of the usual seven nights you see with most trips. The cruise departs from Vancouver, headed to Ketchikan. On either side of that stop you’ll have a day at sea in order to take in the amazing scenery that Alaskan cruises are so famous for. The trip departs late in the season, setting sail on September 6, making it one of the last cruises for the year. This four-day journey is a roundtrip trip from Vancouver, Canada to Ketchikan, Alaska. Sailing aboard the Golden Princess on Tuesday, May 14, you’ll have just one stop in Ketchikan (along with sightseeing from the ship on two days at sea) before returning to Vancouver. The cost for an interior cabin is just $499 per person if you sail on the mid-May departure date. Want to take a seven-night Alaskan cruise? One week is the classic length of time to sail up and take in all the sights without feeling too rushed. This trip is the cheapest one-week cruise we found. It runs just $499 per person — hundreds less than other trips — aboard the Norwegian Jewel. Why is it so cheap? This cruise doesn’t leave until late in the season making it one of the last to set sail to Alaska before the window to cruise closes. You’ll enjoy ports of Juneau, Skagway, and Ketchikan before heading back to Vancouver. Holland America is one of the big names in affordable Alaskan cruises. Case in point: This trip aboard the Eurodam costs just $649 per person. That may sound pricey compared to some Caribbean cruises, but it’s cheap for a cruise to Alaska. You’ll stop in Juneau, Sitka, Ketchikan and Victoria before returning home to Seattle. If you can’t depart on May 25, there are subsequent sailings for about the same price. Another sub-$600 cruise, it shows that you don’t have to spend a fortune to sail to Alaska. This trip saves you money by being a bit shorter — it sails for five days instead of the typical week-long trip. Departing Vancouver aboard Princess Cruises’ Island Princess, you’ll have stops in Juneau and Ketchikan as you head up the coast. In addition, you’ll have two days at sea to take in the scenery and relax. Departing Seattle in mid-May, this trip takes you on a week-long trip with scenic cruising and four stops — Juneau, Sitka, Ketchikan, and Victoria. We found prices for about $750 bucks, which isn’t the cheapest trip but still affordable when it comes to these cruises. In addition, it leaves from Seattle instead of Vancouver, which is usually cheaper for Americans to get to compared to having to sail from Canada. Another reasonable trip that’s still under $800, you can hop on the Star Princess from Princess Cruises and head to explore the last great frontier. This cruise departs Seattle with several stops in the major Alaskan ports like Ketchikan, Juneau, and Skagway. There is also a short stop in Victoria, Canada. It departs in early September, so it’s likely to have fewer families on board versus trips that depart during the peak of summer. If you can head out on your cruise early in the season — May 1 — then this might be the trip for you. It’s $849, or about $120 per person, each day. Again, that’s a bit higher than some of the cheapest, but still reasonable for a week trip. The cruise hits all the high points, including Juneau and Ketchikan. It also cruises Glacier Bay before heading back to Vancouver. Most of the cruises we’ve covered thus far are on older and/or smaller ships. There’s nothing wrong with these ships, but many of the most recently-built cruise ships go above and beyond. This trip is aboard the Norwegian Joy, which was launched in 2017. The ship also features tons of balcony rooms, which are highly popular for Alaskan cruises because they offer your own private view of the scenery. You’ll depart on May 4 from Seattle for under $800 per person. The final entry in our list is a cruise aboard the Carnival Legend that departs Seattle on May 14. It’s surprising that Carnival — long known as an affordable cruise line — just barely makes the list of cheapest Alaskan cruises. The trip has stops in Juneau, Skagway, Ketchikan, and Victoria and then returns to the homeport of Seattle. Note: The links to Orbitz are affiliate links. 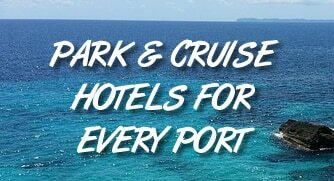 If you book a cruise through them, we earn a small commission at no extra charge to you. Are there any repositional ships from Alaska to Miami? We’re not sure of every ship, but if you search you will find some. For example, Norwegian Joy sails from Seattle on October 6, debarks in Los Angeles on October 11, and then sails on a 16-day trip from LA to Miami. For more, look at the ships sailing from Alaska and see what their schedules are in September and October (when the Alaskan season ends and the ships move on).